For example: MP soap is 3%, IFRA max. use is 17.2%, and desired smell is 2%. You should not use more than 2% in your product. This 2% is the lowest of all of those numbers. "not a true frankincense and myrrh scent"
COMMENTS: My husband loves this scent over all the others I have used. Will definitely order again. COMMENTS: I was really excited to receive this product for the holidays to add to my holiday line. When I first got the oil I did not like the way it smelled because it smelled like baby powder to me. I went ahead and made some liquid hand soap. The baby powder smell did not go away. I really really think then I got a bottle of baby powder fragrance oil instead of the frankincense and myrrh. I did put the bottles in my store and sold a couple. However, I did have customers even say it smells like baby powder. COMMENTS: I wear this scent in an oil daily and this blend was right on the money. Would like to say that I sold a lot of this handmade soap, but most of them did not make it to the market due to husband, son, and family! They loved it so much. COMMENTS: One of my best sellers. I mix it with another fragrance oil to create this nice earthy scent. Would definitely recommend. COMMENTS: Big hit around the holidays for the scent. Year-round popularity of the eo properties. Behaves beautifully in soap and sticks. "Favorite Version After Testing Many!" COMMENTS: I love the smell of frank&myr and was very happy with this product. You could smell the fragrance all day long in my scrubs and tarts! Very pleased. COMMENTS: Great for soap making, and several folks use it to heal dermatitis issues. COMMENTS: I just assumed it would turn my soap dark because of the high content of Van. Wrong! So I designed my soap with this in mind.. I added titanium to lighten the dark just a bit because my design needed to be dark but not real dark. Ughhh It's now almost white/ tan. It never turned dark to begin with. I hope when I cut it it turns darker or my entire design will fail... I LOVE the scent! I had plenty of time to design my soap. I just don't think it will turn dark. The top is still creamy tan/ white after 24hrs in the mold. This was going to be part of my Christmas collection this year. 8% Van Really? NO WAY!! COMMENTS: This smells so good- earthy like incense, sweet, just great. Several customers have said "this smells like church!" I used it for some Christmas soaps last year, but it has sold year round too. Easy to work with, but it does discolor to a pretty tan. I just let it go, but you could use stabilizer if you wanted to. COMMENTS: It’s not for everyone....but it’s. Sophisticated, warm and mysterious. Acted great in cp soap. Nice light amber bars. "If you like patchouli you will like this." "Smells like Play Do. Too much vanillin." COMMENTS: This fragrance version of Frankincense & Myrrh does not smell anything like the real thing. There is more vanillin in this fragrance oil than other products on the market. It creates a pretty brown out surface in cold process soap. I can't market and sell this soap as Frankincense & Myrrh. I'm not sure what to call it other than Play Do. COMMENTS: This is a best seller, I use the fragrance to make a great cold process soap bar with activated charcoal. My customers love it! COMMENTS: this is a staple fragrance, everyone loves it. COMMENTS: So in love with this one that I can't wait to try it in cold process! COMMENTS: I mix this with a little lavender, but it's actually perfect on it's own. I wanted a less expensive solution to essential oils and this hit the mark!! COMMENTS: I am obsessed with this essential/fragrance oil ! Customers are in love as well and personally this is the scent I use for my own product collection. It is a favorite and definitely has an authentic musty resin scent that reminds me of church. If you want a more polished/perfume scent you may want to try three wise men, but I appreciate the natural tone of this blend. COMMENTS: Love this frankincense and myrrh oil. Customers really love it as well. Good to work with in cold process soap. Blends great with other oils also. Men and women both really like it! COMMENTS: I use this when I make my pine tar soap and it really helps with the strong smell. Didn't have any problems with it and my customers love it! I sometimes mix it with vanilla fragrance too. COMMENTS: I was really hoping that this would smell more like church incense, but instead, the best way that I can describe it is as having a sickly sweet smell. I liked the Three Wise Men FO much better. COMMENTS: I admit I personally am not a fan of this fragrance, but I still give it 5 stars because my customers loved it. It's a very deep spice aroma - really, just like frankincense & myrrh EOs, but cheaper! It worked great in a Christian-themed soap for Christmas. It has a nice, strong aroma that really sticks around as the soap cures and on your skin after washing. It's not my cup of tea, but people seem to love it! COMMENTS: Love, love, love this blend. Very exotic and holds up good in CP soap and lotion. My customers are really loving it. This one is a keeper. • I love everything about this blend. COMMENTS: I don’t like this bc it’s very musky. I sold all the lotion I made with it the same day though! COMMENTS: Very nice, comforting and soothing FO. I will definitely use it in my products in the Christmas season. COMMENTS: I've ordered different types of this scent from various suppliers. This is my favorite out of all of them. Well done! COMMENTS: I bought this blend based on the reviews. I used in my whipped Shea butter mix. It smells so good I kept lathering several times. Gave body butter mix to family and friends and everyone wanted more. I'm very pleased and not only will I purchase again and again. I will also recommend to people. COMMENTS: Great for Christmas items! "I like this scent "
COMMENTS: This is a great scent but it needs a little something extra for me. I think I will add some vanilla and see if that makes it perfect!! COMMENTS: The Frank/Myrrh is one of my favs. It has a long lasting scent and a little goes a very long way. It mixes well and my Customers love it in many different products . I will continue to by this product because I will use no other! COMMENTS: A must have for Christmas collection! A little goes a long way and the fragrance last on the skin for hours! Love it. "Beautiful blend of frankincense and myrrh "
COMMENTS: Purchased this EO/FO last year to make cp soap for the holidays. It was a hit! This scent is definitely for people who like earthy scents. I'll be purchasing a larger size for this holiday season! "Yep smells exactly like it!" COMMENTS: If customer like that scent than you've got a winning scent for sure. COMMENTS: The first time I used this I made a small batch with a swirl design but it thickened so fast I could hardly get it in the mold. It ended up lumpy and ugly but it smelled fabulous! I was going to save the bars for myself and try again with a simpler design but when I showed them to some friends, they snatched them up and bought them anyway! No issues with the second batch and they sold well. Will see how it works in the future. "F & M EO & FO"
"Wonderful in Honey melt & pour base!" COMMENTS: This fragrance is an all time favorite of mine, and in my opinion it is a winner every time in the Crafters Choice Honey melt and pour soap base. I love the way the soap turns a nice deep molasses color and it leaves the skin smelling naturally sweet and clean! COMMENTS: excellent scent people go crazy for! Strong and bold in CP soap. Turns soap brown so I used Titanium Dioxide in the recipe. COMMENTS: I really do love this fragrance, and I keep my F and M soap in stock all year. It does discolor but doesn't accelerate trace. COMMENTS: The perfect biblical combination - reminds you exactly of church. Works well in CP soap, behaves nicely, discolors to brown. COMMENTS: Just made 12 lbs of cold process soap with this fragrance. Love it! It turns a really pretty brown color due to the vanilla content. But I really like the natural color it becomes. Beautiful. COMMENTS: Great scent for the season, or out of season too. "Very Strong OOB, but mellows!" COMMENTS: This scent is very strong out of the bottle, almost too much so...but once you give it time to calm down it really becomes something very nice. Very earthy smell. Really like it and excited to use for Christmas! COMMENTS: I was only having this as a holiday scent but the demand for it year round was so strong I am making it a staple at my store. This blend is worth every penny. COMMENTS: Frankincense & Myrrh always reminds me of Christmas but my customers love this scent all year around! Discolors to dark tan/brown but can easily work around that. No ricing or acceleration. COMMENTS: We make this soap for sale during the Christmas season. It sells well for us. "You either love it or hate it!" COMMENTS: I absolutely love this fragrance! Most of my customers either really love it or they hate it. I initially wasn't fond of it, but after a very short time, I really love it! I have had customers order it without smelling it because it was "Biblical". But when they got their products, they loved it! COMMENTS: Used in many products. A very popular scent with everyone. Mixes well with other essential oils. COMMENTS: This FO was strong out of the bottle so I added orange EO to cut the heaviness. The result is an addictive unisex scent blend with a beautiful chocolate color. Zero issues in batter. Scent does not fade after curing. Will be a year round staple to my line. Very nice - worth the price! COMMENTS: Love the rich scent of this FO. Held up well in my soaps and customers loved it. COMMENTS: EOS and FOS are just great from wholesale! COMMENTS: Beautiful scent and my customers love it! I am re-ordering! It does change the color of the soap so I use color stabilizer or just don't use any color and let the soap go to the natural color and it's a beautiful creamy color. I just love this scent. Earthy and musky. COMMENTS: I ordered a 2 ounce size to test and now wish I had order the large bottle. this bye far is the finest Frankincense & Myrrh we have found. Will be adding this one to our line! "Frankincense & Myrrh - EO & FO Blend 594"
COMMENTS: This is a great christmas type scent. My friends loved the soap I made them with this. "Overwhelming scent of Labdanum Oil"
COMMENTS: This one does not quite cut it for me as a Frankincense & Myrrh Fragrance Oil. Why? First off, I smell a way overwhelming amount of Labdanum Oil which I am not fond of. Second off, I cannot quite get the Frankincense & Myrrh scent in this fragrance oil like what I know & expect a Frankincense & Myrrh Fragrance Oil to be & to smell like. Instead this fragrance oil blend smells more to me like S'mores with Marshmallows rather than Frankincense & Myrrh which sounds really strange & odd for this to smell like which my family would tell you that I am right on most of the time with my strange nose smelling of products/fragrances. 3rd, I cannot much at all even smell any Myrrh scent to this but instead lots of Labdanum Oil which is primarily what I can truly smell in this in the bottle & when applies to my skin minutes to hours later. I will probably be using this blend oil diluted now as a facial moisturizing oil instead of using in my homemade soaps that I was planning on using it for when I purchased it. My recommendation for a more Frankincense & Myrrh smelling fragrance oil that I really appreciate is: (The Flaming Candle Company) Frankincense & Myrrh Fragrance Oil. COMMENTS: Woody/ earthy and sweet scent. I call it My Sweet Wood. It will cure dark brown. I used about 1 1/2 cups of yellow colorant and didn't scent it, then swirl. The soap turned out beautifully. COMMENTS: Love this combo. Better than the frankincense FO. Elegance I say! COMMENTS: I made it in unisex color & so many love it. Brown base (F.O. colored it) with turquoise mica, 24K gold mica & did a hanger swirl. Turned out beautiful. Want to keep year around & rename it. "Frankincense & Myrrh E.O.- F.O. blend"
COMMENTS: We use this blend in our CP soap line. Customers love it and the price is reasonable. We will continue buying this blend and have made this fragrance a year around offering, which started as seasonal. "I love love this scent!" COMMENTS: THis scent is one of my more popular ones. I love its warm, rich smell and the golden color is lovely as well! COMMENTS: I use this in my face soaps and oils. Strong staying power. COMMENTS: I just used this scent for the first time, and LOVE IT! It's great with Honey MP and yellow gold sparkle mica from WSP. The resulting soap is a rich golden soap that smells heavenly. A great addition to my holiday soaps, and will buy again next year for sure! COMMENTS: My customers keep coming back asking for more! COMMENTS: This EO/FO blend is perfection. I never have issues with it. I can work with the batter for a long time after adding it. I do add a little stabilizer with mine, I have never tried to use it without, I always get a lovely cream color in the end. COMMENTS: This scent is awesome all 'year round, not just for Christmas. Many of my customers who like the earthy scents fall in love with this one. I hope you never discontinue it! • Great scent any time of the year! COMMENTS: This is true to it's name. Smells perfect and is a huge seller for me during the Christmas season. It works well in CP soap with no problems. COMMENTS: I used this EO/FO in GB 464 soy wax. Wonderful Scent. Will continue to purchase! COMMENTS: Used in both soap and candles amazing. COMMENTS: I grew up going to Catholic school but for some reason I don't associate this fragrance with church, so much...it reminds me of Frankincense and Myrrh, but is so much more... beautiful, reminds me of the holidays and is very rich. COMMENTS: I love this OOB! I will be soaping with it tomorrow. I smell both the Frankincense and the Myrrh. I know it will go brown because of the 8% vanilla content. I will design accordingly. Can't wait! I will update if anything goes crazy when working with this FO. But I expect it will be manageable. COMMENTS: Wonderful unisex scent. Warm and earthy. I absolutely love this! COMMENTS: A very spicy FO. It's unique and powerful. It did accelerate and riced. COMMENTS: This fragrance was STRONG! A customer requested it & she was overjoyed with the results. While I didn't care for it personally, my customer was happy and at the end of the day, that's all that matters. "super strong out of bottle - did not speed trace"
COMMENTS: I was looking for a more manly scent. This was super strong out of the bottle. I was a little concerned it would speed trace in CP, but it didn't. For 4# oils, I used 2 oz plus another 1.5 oz of other EOs. Soap is still curing but doesn't seem to be an overly strong scent at this point. Personally, this is not a favorite but others may end up liking it... time will tell! COMMENTS: This is a sweet earthy blend that amazes me year round, perfect in CP with no acceleration or ricing. Your butters will turn a darker yellow due to the color of the blend, but no one complaints!! 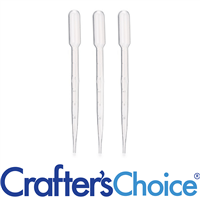 I consider this one the BEST choice for your products! I have tried other companies blends and none comes close to this fine perfect blend! COMMENTS: Works well with my goats milk soap. Not a personal fan, but customers really like it. Very earthy and natural. COMMENTS: We make this soap around September and every time we do it sells out pretty fast. It has a very nice smell and it behaves nicely in soap but it does discolor a little bit. COMMENTS: This is a very nice scent. Not too strong and doesn't fade. Vanilla content, so it will turn a nice hazelnut brown. I don't use coloring, so I use the vanilla content to my advantage, save a little unscented soap to top off or use as a swirl... use the imagination... Fast growing seller!! The Price is great! COMMENTS: I have smelled other frankincense and myrrh blends, but this is by far the best I have found and my customers just love it. I use to only make this scent of soap at Christmas, but my customers have requested it all year round. "The BEST Frankincense & Myrrh "
COMMENTS: I have tried several other brands of this scent, this is by far the best. It really mellows in CP soap, and just smells fabulous!! This is great year round, but couldn't keep in stock during the Holidays. No acceleration, but does turn a dark brown, so plan accordingly. COMMENTS: This is a good smell. I can't wait to use it in cold process soap. It definitely has a "hippie" smell, which I like. I plan on making candles too which I think will be a big hit! I'm glad I took my chances on this one. Would purchase again. COMMENTS: This product arrived and it was better than I had expected. Great fragrance. "very interesting and deep scent"
COMMENTS: I love this scent. It has dark brown colour. So you do not need to use any colorants. "Used for my cross mold soaps"
COMMENTS: I really like this lovely scent. Just a classic. COMMENTS: This is a very big seller no matter what time of year it is. So earthy & perfect. It mellows out very well in CP soaps. This is a all around great scent. COMMENTS: This sounded so rich and wonderful to me, I just had to try it. I got a nice drop swirl design using copper mica, gold mica, and the uncolored but discolored soap, but the fragrance really reminded me of the kind of overly-strong perfume more mature women sometimes wear (like a spicy Este Lauder). Some people adore that, and I did have a very few customers who did. Sadly, I did not like it at all. I'm rating it three stars, because it's a personal preference thing I guess, and it wouldn't be fair to rate it one star based on that. But I won't ever buy it again. COMMENTS: I used this in HP soap and it sold out immediately. I will definitely be making more next holiday season. "Frankincense & Myrrh EO FO"
COMMENTS: Made and sold beautiful bars of this soap during Christmas. COMMENTS: This one took a little while to grow on me. Having never really smelled Frankinsense or myhrr, I didn't really know what to expect. At first, I didn't care for it because it smelled very powdery, old, and musty. However, the longer the soaps hung around, the more I found I enjoyed the scent. COMMENTS: I'm not real sure what Frankincense & Myrrh should smell like, but this is heavenly sweet scent. COMMENTS: I bought this EO & FO blend for the month of December. My soaps and lotions have FLOWN off the shelf. This seems to be a smell that either buyers either love or hate, no middle ground. I have been lucky enough to have some people stumble across my little soap shop that loves this smell !!! COMMENTS: First time I have ordered this scent ever and my customers loved it. COMMENTS: This is definitely spot on with the fragrance. I have customers waiting on me to get this fragrance. I have already made soap and room spray. Most of this is already spoken for which is great. This is not my favorite fragrance but the customer rules. COMMENTS: Like the smell. Makes me think of the three wise men.Good for wax melts. COMMENTS: Tomorrow I am starting a new set of soaps with this oil. I can't wait to give it to my family members as stocking stuffers. COMMENTS: This is awesome!! I use it in soaps, lotions and bath salts/fizzies. Smells just like the incense love it!! COMMENTS: This soaped beautifully. No R or A. I knew this would discolor to brown so I did as another reviewer suggested and left some batter unscented and obtained a lovely cream swirl in the brown soap. Beautiful! The scent is strong and true. COMMENTS: Strong scent but not overwhelming. Does discolor so account for that with colorants and expect it to darken. Also works well to blend with other EO/FO. "Love this fragrance - very natural"
COMMENTS: I am a EO fragrance addict and can normally smell a fake. However, this blend is spot on and I was not able to tell a difference from my personal stash of F & M. It may be that it has the EO's blended with the FO. Making soap from these precious oils is not only expensive but such a waste of valuable oils that could be better utilized in a leave on product. 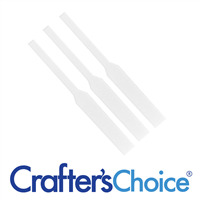 I am very happy with this product and will more than likely make it part of my regular line. Great work WSP! COMMENTS: This is a customer favorite, people just cant get enough! Does discolor dark brown but no acceleration. Love it! COMMENTS: I love this fragrance oil! It smells delicious - spicy and a little powdery. Its held up beautifully in CP soap. It smells like incense. COMMENTS: This is a winner! I sell it in a Spa, the women take it home and the men love it too! It discolors to a dark brown but it suits. I leave a little without the fragrance and make a swirl that way. Little goes a long ways and stays in CP. COMMENTS: I love love love this product. Works great in cp, cpop, and hp. Also works great as a spray on or roll on perfume. Because it's a blend of EO and FO- the fragrance is crisp- different in a good way for perfume, than the pure eo blend I also make. COMMENTS: This scent screams Christmas to me. It turned a beautiful light brown and I used 24 karat gold mica to add a pencil line and put another line down the top. Makes a very elegant soap. Hope it sells well. Performed very nicely in CP. COMMENTS: This went in CP soap. Nice scent that develops after cure. Strong - but not too overwhelming. Definitely the best of the blends! COMMENTS: My customers love this scent at the holidays and they're just around the corner! "PHEW this definitely smells how it should!" COMMENTS: Very strong scent. Not my personal favorite, but for people who like these scents it does the job! My whole kitchen smelled like this fragrance for a day or two lol :) Used in cold process, did not accelerate at all, in fact it did the opposite and the soap took a little longer to set. Very nice though! COMMENTS: This is a great scent for a man's bar of soap. I use it in a recipe that uses coffee grounds as an exfoliant. The Frankincense & Myrrh's natural tendency to darken the soap is perfect! The scent is a soft powdery scent -- it is not overwhelmingly "MAN." COMMENTS: If you're looking for that ultimate 'Church on Christmas Eve' scent, this is it. Nothing artificial, nothing fake-smelling. Just that comforting scent you remember from going to Mass :) AWESOME scent for the holidays. "OUT OF THIS WORLD FABULOUS!!" COMMENTS: I've searched for a sweeter exotic scent and this one captures the robustness I was hoping for!!! COMMENTS: Although I love this fragrance on its own, my customers liked the products, but didn't love them. A few people thought the scent was too "old-fashioned." (I wonder if this is a regional thing?) When I blended the oil with other spice notes, people really noticed. My favorite blends are with sandalwood (FO or EO), cedarwood, and just a touch of orange. You can have a lot of fun with this fragrance! COMMENTS: Frankincense & Myrrh EO & FO blend is one of my best selling soaps all year round. It's an amber colored oil, so it will turn Cold Process and Hot Process Soap a tan color. I add Green Oxide Pigment to it to make it a nice dark green color. It does get a bit strong in Hot Process Soap, so I usually don't use it in the same strength that I use it in Cold Process soap. COMMENTS: This is going to be perfect for Christmas. Discolors to lovely brown color over a few weeks. Very strong at first. Smells better with cure. COMMENTS: This is not my favorite frank & myrrh blend, but is the one I go to frequently. It leans towards the heavier myrrh side of scent, which is more attractive than the often perfumey, musky scented blends that competitors sell. Would be nice to have a better balance of the frankincense in the scent, but I find this one can be used for incense as well as perfume and soaps. COMMENTS: This is a pretty good blend. It's not one of my favorites but some of my customers really like it. COMMENTS: I used this in some MP soap at Christmas and it was a big hit. The oil is a dark color so it does discolor the soap a light tan but the scent is deep and doesn't fade! COMMENTS: I am in love with this scent! I started out using it as a holiday scent for my CP soap, but can't stop using it. My customers love it, I love it. It is a dark colored oil, so your batch will be a lovely molasses-brown color. I made some soy wax melts with this fragrance as well, it blended very nicely with the wax and throws a great scent in my warmer. COMMENTS: Was looking for another fragrance for salt soaps, had been using the lavender & peppermint combo. Some customers liked the lavender & peppermint combo but ALL customers liked the frankincense & myrrh. COMMENTS: We blend this with our secret combination and it's incredible. This is top quality and lasts, lasts, lasts! Strong and lasting. Just the right touch of sweetness. Let dry out of bottle to get exact fragrance. It doesn't smell as good, wet in the bottle. Try it to judge. • The best in every way! COMMENTS: I used this in my CP soap and also added a little bit of frankincense to this fragrance. My bars have a very deep, mellow, resinous smell to them. I think this fragrance would function best as a base note. It would certainly compliment other scents. "One of my favorite essential oil blends"
COMMENTS: I am not a big fan of essential oils because to me, they are usually too strong. I didn't think I would like this scent but I absolutely love it. Not overpowering at all, and customers like it too. COMMENTS: This scent is very strong. I even have to use less of it than normal. I use it in candles and is a definite favorite! I love it!! • It has a good scent throw. COMMENTS: Great scent with no acceleration in CP goat milk soap. Will be making a line with this scent. COMMENTS: Have used this in several products. Great unisex scent. I will definitely order again. COMMENTS: Turned my HP soap amberish brown. I love this scent for both men and women. "Very good fragrance for cold process soaps"
COMMENTS: Very little discolorations in the cold process soaps, smells wonderful. COMMENTS: Just a perfect combination! My customers love my soap! It is actually my best selling soap, especially during Christmas, when was the fist sold out! COMMENTS: This is my absolute favorite scent! Though most people I know have no idea what frankincense or myrrh smell like, they all know about its reputation. The woodsy smell makes it appropriate for men as well as women -- which is unusual. And it's perfect for Christmas gifts! COMMENTS: New to soap-making (so far only brave enough for mp) and natural cleaning products, etc. and ordered this scent for my first 'experiments'. It's so excellent, I'm hoarding it! So far I've tried mixing small amounts to make a room spray, added it to vinegar (laundry rinse cycle) and home made laundry detergent. I've added it to both shampoo and conditioner as well, with plans to make solid perfume and liquid soap as well as body spray. I can't help but want to surround myself with this one! Bought the 4 oz, and will absolutely go bigger and buy more. COMMENTS: Nice rich tones of Frankincense and myrrh and it produces a nice brown color. When I made some for my girl friend, she couldn't get it enough. She compared it to a commercial brand she loved- *UM Bar. Then I added it to my liquid castile soap and it flew off my shelves. A lady bought one, walked around sniffing it and came back to by the rest. The next week she hit me up for the remaining bars and bottles. I love it too. A great unisex fragrance. I strayed away from these scents and have not been selling as well. I think it's time to go back to what worked before. Well worth the investment in theses. COMMENTS: I first ordered this as a 2oz. sample, then got 4oz., and finally ordered 16oz. This fragrance is incredible! I find it very grounding. Everyone (family, friends, & customers) who has smelled it so far has ranked it in their top 3 favorites! Please keep this around for a long time! COMMENTS: Best Frankincense & Myrrh blend ever! Turns the soap to a lovely dark brown color that I think works well with gold highlights! "The BEST Frankincense & Myrrh on the MARKET"
COMMENTS: This is the best Frankincense & Myrrh on the market, PERIOD. It is a nice strong scent and it holds beautifully. CP turns a dark beautiful tan. "Lovely blend of two of the richest scents"
COMMENTS: As the holiday season approaches, Frankincense and Myrrh reach the top of my list for blending and also for seasonal soap. 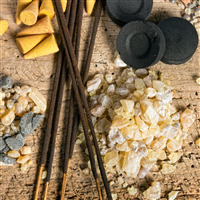 This blend is truly beautiful and captures the richness of both Frankincense and Myrrh. Because it contains essential and natural oils, it smells real, true and intoxicating. Loving the blend and looking forward to creating many different soap and lotion products with this as well as blending this to create other fragrances with much depth and mystery. "This was for a customer"
COMMENTS: I had a customer who specifically asked for this fragrance in their soap. It turned out well and they loved the scent. COMMENTS: This is a perfect blend of Frank & Myrrh and stays strong in cold process soap. Absolutely worth the price! COMMENTS: I was leary about the price on this one but it is worth every penny! The scent is deeply resinous and woody, like a great incense but without the powdery notes that often come in similar fragrances. Also very strong, I used just under 2oz in a 5lb batch of CP soap and it's on the stronger side of medium. I did use vanilla stabilizer, no issues there and no problems with acceleration either. Instantly one of my favorites! COMMENTS: Love this fragrance for Christmas. Very sophisticated and elegant. Worked beautifully in CP soap. COMMENTS: This is such an amazing scent and works well with many types of products! COMMENTS: I really love this one. Actually, everyone loves it -- men & women alike. It's such a familiar, earthy, soothing scent. Not too overpowering either; just right. It did alter the color of my soap a bit, but that definitely won't keep me away. I really like this one. COMMENTS: Love this combo! Will keep it as a staple in my line. COMMENTS: This is a perfect blend! Wonderful in my CP soap for Christmas time! 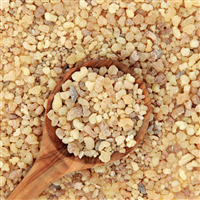 COMMENTS: I have bought many Frankincense & Myrrh’s over time and have been very disappointed with them all. When I saw this one I was leery yet tempted and I am so glad I did. COMMENTS: I love this scent and so do my customers. Has become one of my biggest selling soaps. COMMENTS: and for year round blending. Try with lavender, it's lovely!